While his name is synonymous with a revolutionary redesign and deconstruction of the standard vacuum cleaner, and his TV advertisements are a master class for inventors to promote their own products, industrial-design icon James Dyson is not a fan of branding. In fact at the 2012 Wired Conference “Disruption by Design,” he explained his philosophy as not believing in “brand at all.” In his estimation, aspiring engineers should understand they're “only as good as (their) latest product.” And their latest design products is exactly what he's seeking from all the contestants who are entering this year’s ‘James Dyson Award 2016' competition. 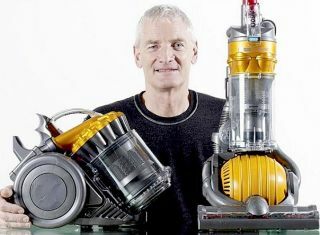 Sir James DysonSir James Dyson is best known as the inventor of the Dual Cyclone vacuum cleaner. Dissimilar to the majority of his competitors (some of which are top name brands), his device's major selling advantage is that it does not require the continuing purchase of replacement bags. His vacuum cleaners are also distinguished from the pack in that they were engineered using cyclonic separation versus suction. The James Dyson Award was established in 2004 for the sole purpose of identifying aspiring engineers and students and their inventiosn. It's task is fairly straightforward. What the contestants needed to do is focus on problem solving, with a creative solution, while examining function over form. While that ethos has remained the same over the years, the scale of the competition has grown significantly. The competition now runs in 22 countries worldwide – China and Korea are the most recent additions. The prize money has grown, too (see breakdown below). In an interview I conducted with Mr. Dyson today, I asked him, what the 'best design' means to an engineer? And does the 'best design' necessarily trump the 'best solution to a problem'? Alroy AmeidaThe University of Waterloo in Ontario (located in the heart of Canada’s technology hub) was the school attended by last year’s winner, Alroy Almeida. His team's top-prize winning submission was the Voltera V-One, which beat out a record 710 entries from 20 countries. 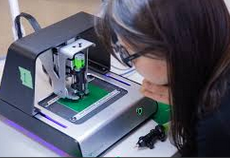 His device enables circuit boards to be prototyped within minutes, eliminating the frustrations with traditional fabrication processes and significantly reducing hardware development time. Voltera V-OneAs far as how his invention is doing in the market today, he noted they are are in the early stages of introducing it to the commercial world. “When we first won the James Dyson Award, we had just begun shipping our early bird units to customers. We're now shipping our next big batch and trying to work through our backlog as quickly as possible. We're really excited to get these products out there and see what our incredibly creative customers start building with it,” added Ameida. His team is also accepting new orders on their website voltera.io - which also includes updates posted frequently about the product and the company. The Award program is the annual design competition hosted by Dyson’s charitable arm, the James Dyson Foundation, which provides university level design and engineering students with a platform to launch their ideas. Interested parties need to act quickly, since the closing day for entries is July 19, 2016. Entrants will need to submit evidence of prototypes along with stories detailing their design process and inspiration. From that point, their submissions will be scrutinized by panels of national judges and Dyson design engineers, before James Dyson announces the winners on October 27, 2016. The international prize is $45,000 for the student. $7,500 for the student’s university department. · American Press, a coffee maker that keeps grounds contained in an eco-friendly reusable pod, solving the clean-up mess of the classic French press without the landfill waste. · Lytra, an affordable prosthetic leg that allows below knee amputees to shower freely and clean their residual limb safely. For more information and regular updates on the progress of the James Dyson Award program for this year and future years, you can also follow the James Dyson Foundation on Facebook and Twitter.